Add an effortless splash of edge to your look with the versatile BELSTAFF™ Stannet Cotton Pique Polo Shirt. 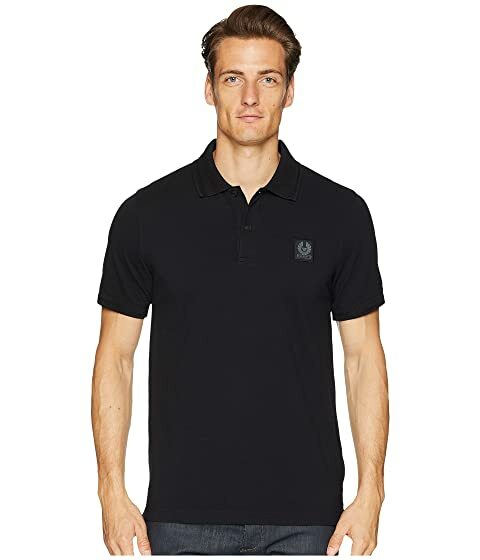 We can't currently find any similar items for the Stannet Cotton Pique Polo Shirt by BELSTAFF. Sorry! It is very very black. Too black. Like there is no colour change that could give this a pop! A clean grey line is what I'm talking about (something that really doesnt add colour even but works). More importantly, if I was 200cm this might fit me proper but I'm not. Standing 160cm and 58kg means this shirt looks like a mini dress on me (covers my booty fully). Granted this is a fitted cut. And it looks fine on me until you look down - major sad face.